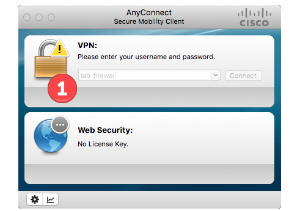 Cisco ASA is used as a VPN concentrator allowing users on the internet to connect into the corporate network, and have access to the inside networks. Authentication is done via an external RADIUS server who the ASA auths to. This is the base configs required to get the firewall to work. The following will take the firewall and allow it to be a vpn concentrator that auth's to a radius server. tunnel group that binds everything together. when you connect with the anyconnect client, you need to define what clients can connect and make sure that you have the correct images on the vpn. They will download to the client if they don't have the newest client. allows web access and the ability to run the asdm client. Confirming the anyconnect clients in step #14. If you don't have any clients, or want to upgrade any of the clients, just copy the newest versions into flash, and then repoint in the configs. You can create the xml config that will automatically be pushed to all the clients after the first time they connect to the VPN. This is done within the ASDM client. The profile name (1) describes the new profile that we will create. When you complete the profile page, Apply (1) the change, and select edit (2) to make further changes to that profile. 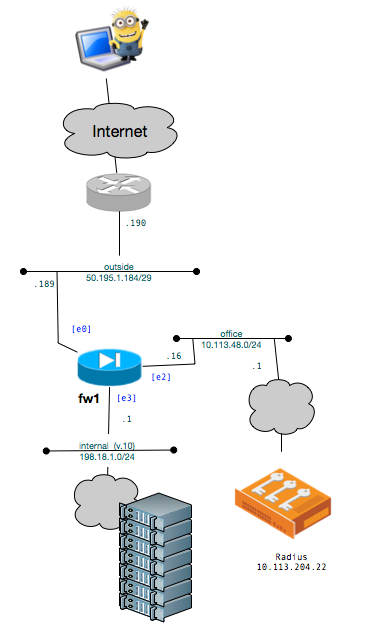 Then within the AnyConnect Client Profile (1) select Server List (2) and select add (3) to define the external IP/DNS name/url of the firewall. The hostname (1) is the name that users will see from the anyconnect client, and the Host Address (2) is the IP or url to connect to when they select it. Confirm that the new profile is created (1) and select ok (2) to save. Then again select the profile (1) and select Change Group Policy (2) to further modify. In the main window select Apply (1) and then in the main menu, select Save (2) to push the configs to the firewall.